Mother’s Day is coming soon. Time to start thinking of ideas for the most fantastic lady in your life. For Mother’s Day crafts, think just like you did when your were a kid-- homemade. Mom will love it, because you’re her baby and anything you do is going to be perfect in her eyes. Get out those scissors and let’s get crafty. Take a fresh look at flowers this Mother’s Day. 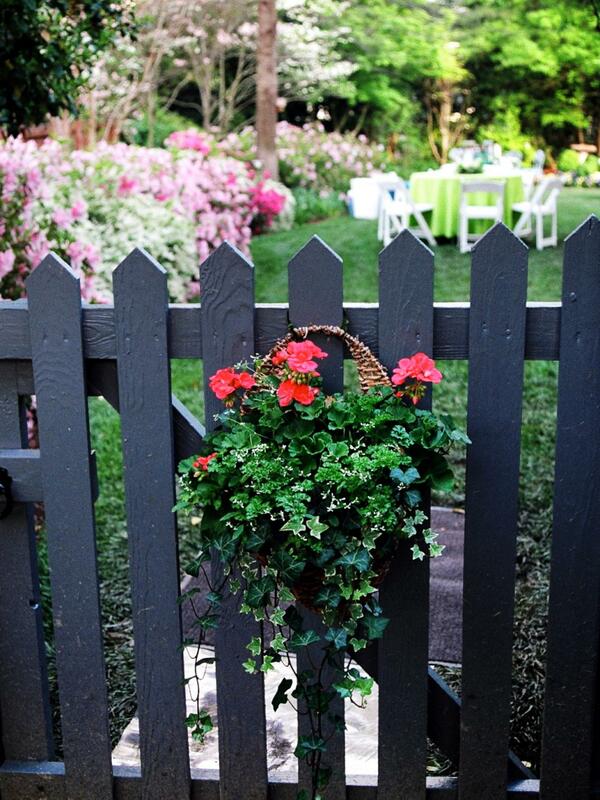 Instead of cut flowers, try a handmade hanging basket of live blooms that will last all summer. A good rule of thumb when planting a decorative pot is to put something tall and spiky toward the center, like Snapdragon or Larkspur. Around that, add some colorful low growers like Begonia or Petunia. Finish it off with vining plants that will hang down at the border. Ivy is pretty. Sweet Pea and Fuchsia will add vibrant hues to your creation. If you know mom’s favorite color, work it in. Tie a sweet ribbon around the whole thing and you’re set. Does Mama have a sweet tooth? Show off your culinary skills by whipping up a batch of French Macarons and get experimental with the fillings. Try lemon curd, buttercream, strawberry jam, Nutella, whip cream…So good, you might want to double the recipe and treat yourself too! Sift the powdered sugar and almond flour together. Using a hand mixer, whip the egg whites on low speed until frothy. Gradually add the sugar, and then whip on high speed until stiff peaks form. The egg whites should be glossy and thick. Fold half of the almond mixture into the egg whites and then add the rest. Fold the mixture 15 to 20 times; the batter will be thick and fall slowly when dripped from the spatula. Pipe 1-inch circles onto baking sheets lined with silicon mats or parchment paper. Let rest until a skin forms on top and is dry to the touch, 15 to 30 minutes. Bake for 10 to 12 minutes, rotating the pans halfway through the baking time.. Bake on the bottom rack first for 5 minutes with an empty sheet on top. After 5 minutes, rotate the sheet and move the bottom sheet to the top and the top sheet to the bottom. You will know the macarons are done when you can touch them and the top of the macaron is set does not slide around under your finger. The macarons must be set before you take them out of the oven. If the macaron tops slide, put them back in the oven on the middle rack for another 2 minutes. Let them cool for about 10 minutes on the baking sheet. Fill as desired. Make a card for mom this year. Add a hand written poem, an original work of art, or a fun photo of the two of you. The “you” in this card is what makes it special. Remember covering all those textbooks for school? How about picking up a bestseller and wrapping it in a handmade book cover, old school style? No need to stick to the paper grocery bag. Scrapbook paper will make it pretty and memorable. A ribbon can be coordinated and glued to the inside at the top of the spine as a bookmarker. A date and inscription round out this thoughtful gift. Give her the mike-drop mother of all Mother’s Day gifts- a day with her baby. You’re all she really wants anyway. Make a date for coffee, brunch, the gym, a movie, a pampering day, anything; think of what mom likes to do and do it. If you do not live close to your mother, have a Skype date. Send her a card with a packet of tea or hot cocoa in it and a plan to brew your cups, and call at a certain time. She will LOVE it! Share your Mother's Day inspiration with your friends! We’re on Facebook and Twitter too.